300 - a hematite spike* with an aurora borealis finish and wrapped in wire with three silver beads. It's suspended from hammered wire and tube bail. 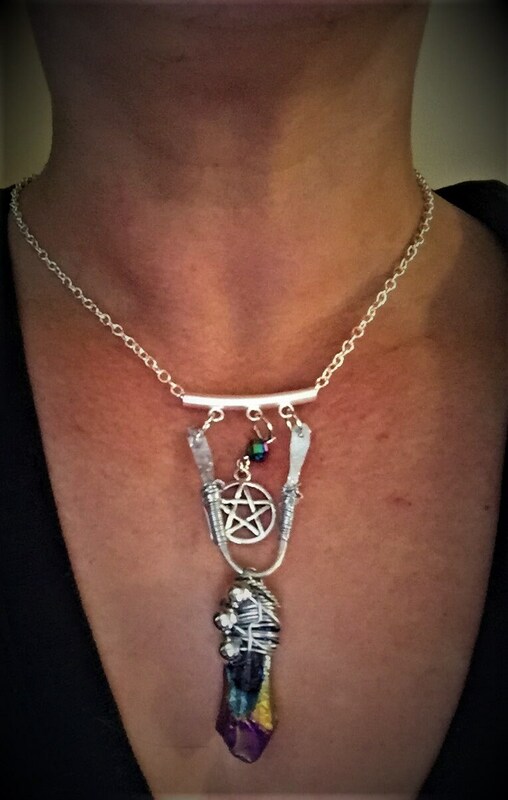 The finishing touch is a matching peacock crystal above a silver pentagram. *Please note that this is a natural stone - therefore the size and shape of your piece will have slight variances from the picture.